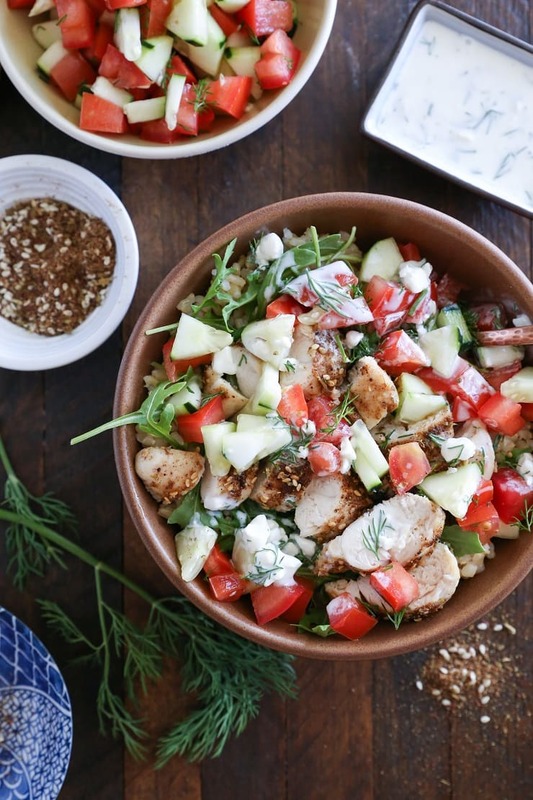 Middle Eastern Za’atar baked chicken bowls with cucumber tomato dill salad and raita are a mega fresh dining experience. 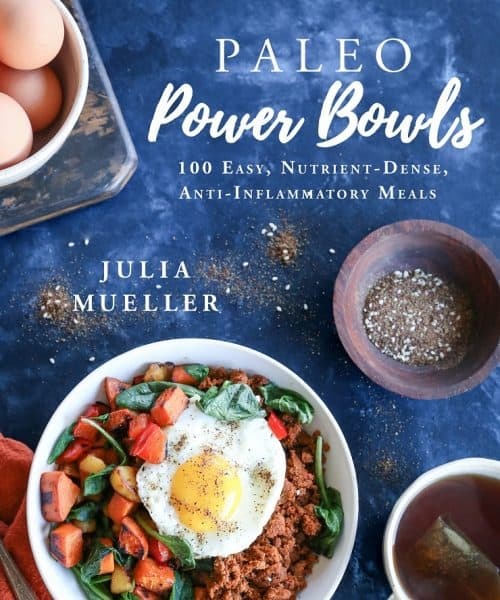 This tidbit of information has probably been made obvious over the years, since you bare witness to most of my meals, but 99.98% of what I eat is consumed out of a bowl. I’m hopelessly devoted to bowls, signed, sealed, delivered. I’d be lying if I said I don’t get flack from the man partner over it, but being on Team Bowl Food is a beautiful, unifying experience. You should try it. We’re accepting new members. 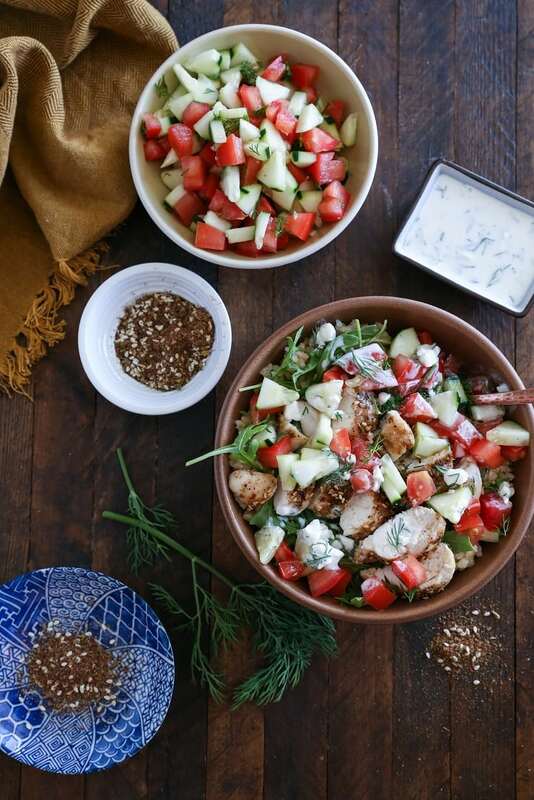 This bowl adventure includes za’atar-spiced oven baked chicken in combination, fresh cucumber-tomato-dill salad, and raita, making for a super light and zesty meal. If you aren’t familiar with Za’atar, it’s a Middle Eastern spice blend involving fresh (or dried) thyme, sesame seeds, sumac, ground cumin, and salt. The blend has an earthy, exotic flavor and is perfect for using on chicken, fish, beef, and vegetables. While it may seem like there are many moving parts in this recipe, it comes together easily and can also be made in stages. For instance, the chicken can marinate for up to 12 hours, and the cucumber salad and raita can be prepared up to 3 days in advance (well, more like up to 5, but we’ll call it 3 for the freshest results). If you’ve never tried raita, the concept is very similar to tzatziki. It’s a yogurt-based condiment with cucumber and fresh herbs. I love adding goat milk feta for an extra zing, and I also use goat milk kefir rather than yogurt. You can easily replace the kefir with whole milk Greek yogurt! If you don’t have dried sumac on-hand, you can replace it with your favorite spice blend, such as Garam Masala, curry powder, Cajun seasoning, etc. Get creative! 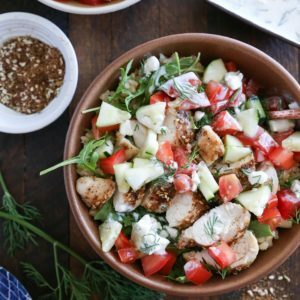 Meal prep options: Marinate the chicken up to 12 hours in advance, cook the rice up to 3 days ahead of time, and/or prepare the raita and cucumber salad up to 3 days ahead of time. I served the meal over steamed brown rice, but you can also go grain-free and serve it with spaghetti squash, quinoa (this Cooling Tri-Color Quinoa Salad with Cucumber, Mint, and Lime Dressing would be an amazing accompaniment) , cauliflower rice, or sweet potato rice. Stir together the ingredients for the za’atar spice blend in a small bowl. 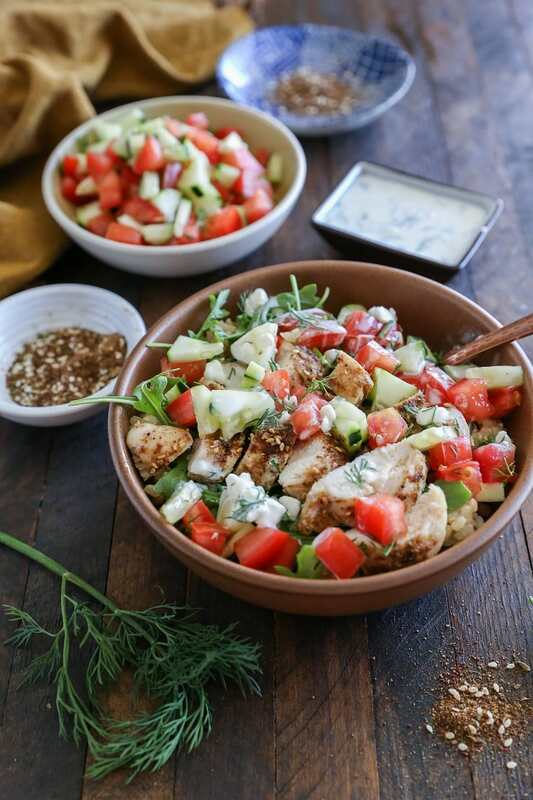 Form bowls by dividing rice, chicken, and cucumber salad among 3 to 4 bowls. Drizzle with kefir raita and serve. Stir together the ingredients for the raita in a bowl until combined. Taste for flavor and add sea salt to taste. Refrigerate until ready to use. Combine the ingredients for the salad in a mixing bowl and toss together to combine. Set aside until ready to use. I’m totally willing to switch to team bowl if it means meals like this one. YUM! I love the kefir in the raita! Ummmmm, this looks like it wants to be my lunch today. And I have everything but the kefir…..It sounds so refreshing!!! What is Kefir milk and where would I find it? The word Za’atar is really really new to me 😂 I would like to try it a lot bc it looks so healthy and tasty. However I’m too lazy to prepare the chicken as you instructions, Could I change into another meat like beef or pork? Will it destroy the whole flavor of your recipe? 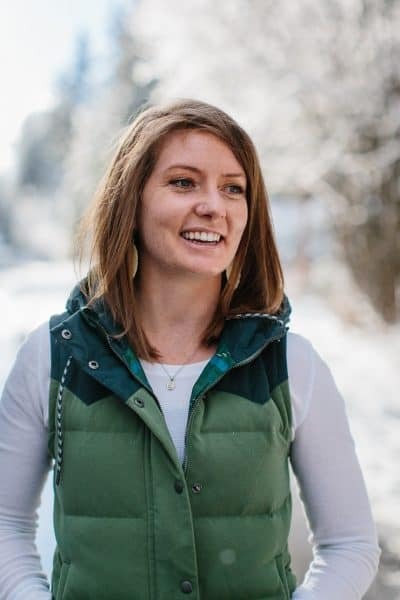 You can definitely do your own choice of animal protein! Hope you enjoy!